A romantic comedy musical with screwball elements, You Were Never Lovelier strikes the perfect balance between humour, romance and elegant musical numbers. Famous American dancer Bob Davis (Fred Astaire) is in Buenos Aires, where he proceeds to lose all his money on his horse racing gambling addiction. Desperate for a job, he approaches gruff tycoon and hotel owner Eduardo Acuña (Adolphe Menjou), seeking a dancing gig at the hotel's swanky restaurant. Acuña, the father of four grown daughters, believes that Davis is a useless opportunist and wants nothing to do with him. Acuña also has problems of his own. With his eldest daughter now married, his second daughter Maria (Rita Hayworth) is not passionate about any man, and is therefore holding up the marriage prospects of daughters three and four. Acuña concocts a harebrained plot to manufacture a secret admirer for Maria, to get her romantic juices flowing. He starts sending her unsigned love notes and orchids on a daily basis. The plan initially works, but through a series of misunderstanding, Maria arrives at the conclusion that Davis is her secret lover, and passion ignites between them much to Acuña's horror. Directed by William A. Seiter with music by Jerome Kern and lyrics by Johnny Mercer, You Were Never Lovelier is the second and final screen teaming of Astaire and Hayworth. This is a breezy, character-rich comedy with three fine central performances. Astaire is at his elegant best, Hayworth looks ravishing and simply glows in a series of stunning gowns, and Menjou has a substantial supporting role as the meddlesome patriarch. The dialogue is witty, the pace is brisk, and there is plenty going on in every scene. Hayworth's voice is unnecessarily dubbed (by Nan Wynn) and not enough is made of the supposed Buenos Aires setting and Argentinian culture, but You Were Never Lovelier gets everything else right. 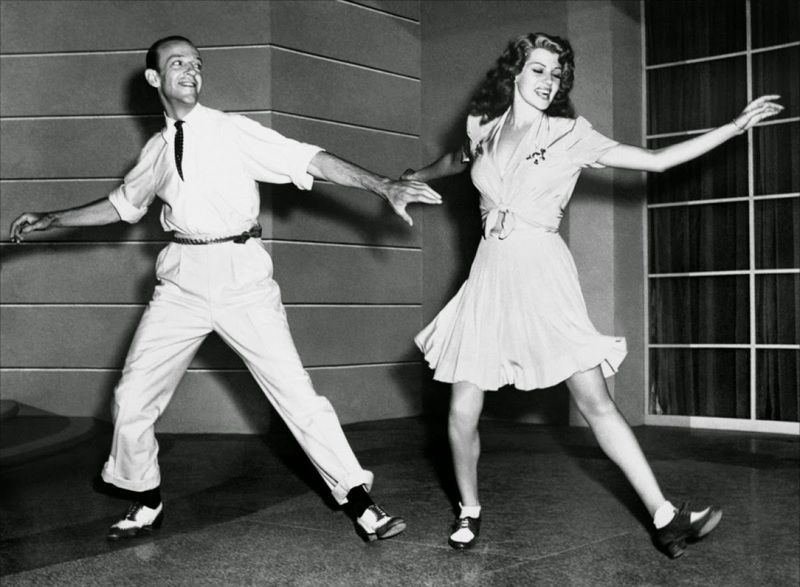 Astaire would later name Hayworth his favourite dance partner, while she considered her two collaborations with Astaire as the pinnacle of her career. It's easy to see why. There is an effortless chemistry between the two that simply materializes as soon as they share the screen, a spark of romance and respect that Astaire rarely generated with other leading ladies. Hayworth does not try to match Astaire in their dances; she does her own thing to complement him, and does it with undisguised happiness, resulting in a cheerfully comfortable pairing. 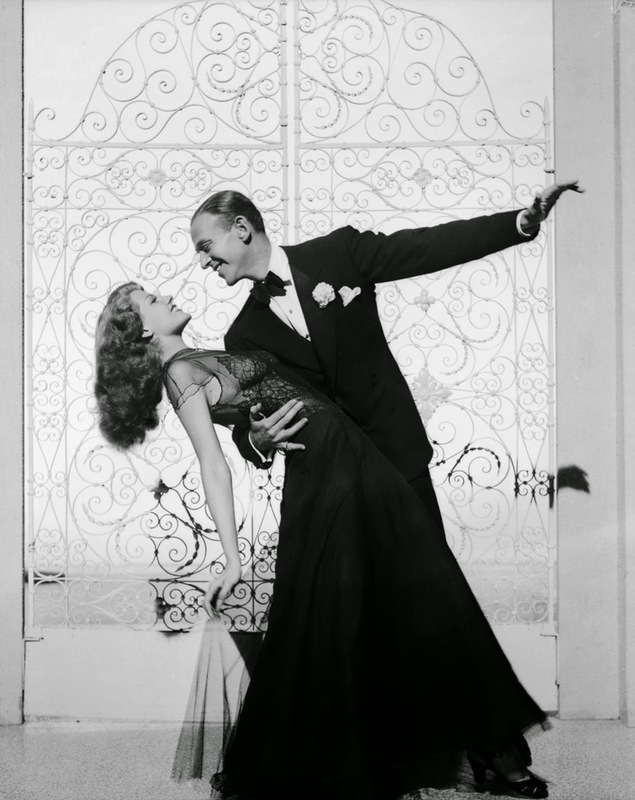 The two highlight dance scenes are simply perfect, the classic and elegant I'm Old Fashioned signalling the start of the romance, and the more exuberant The Shorty George confirming just how compatible Davis and Maria are. The film works well precisely because of the measured approach to the musical interludes. The songs and dances are there to punctuate the story's key moments, and otherwise do not get in the way or slow down the madcap story. Seiter and his editors deliver the package at an economical 97 minutes, add no padding, and if anything, leave the audience wanting more. In other words, the perfect approach to lighthearted entertainment. You Were Never Lovelier is rounded out with secondary characters who do much to liven up the film. The script (co-written by Delmer Daves) takes the time to create screwball-like fun involving Acuña's family and acquaintances getting in each other's way and injecting texture and humour into the manic proceedings. Assistant Fernando (Gus Schilling), wife Delfina (Barbara Brown), Maria's godmother also called Maria (Isobel Elsom) and her husband Juan (Douglas Leavitt) and the two youngest daughters all do their part to generate and maintain momentum. Band leader Xavier Cugat also enjoys an extended role and adds to the musical flavour. You Were Never Lovelier is a gem of a musical, a rare example of all the genre elements coming together in just the right doses.